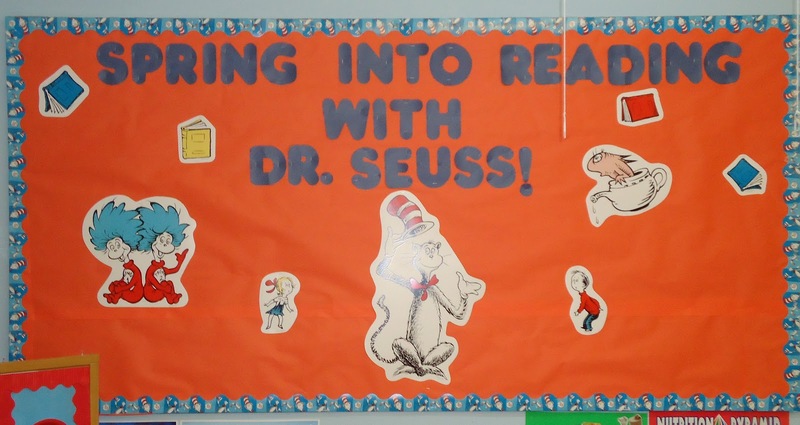 I noticed that lately, I've had hundreds of visits from folks using "Google" to find bulletin boards for Dr. Seuss. 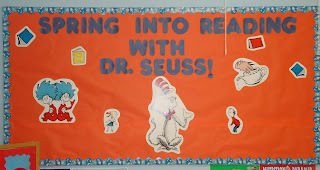 I thought I would take a walk around our center and collect a few photos of some of the wonderful Dr. Seuss bulletin boards in our classrooms. I love seeing how different classrooms decorate their bulletin boards! One of my favorites is the one above, illustrating the opening scene in "The Cat In The Hat". 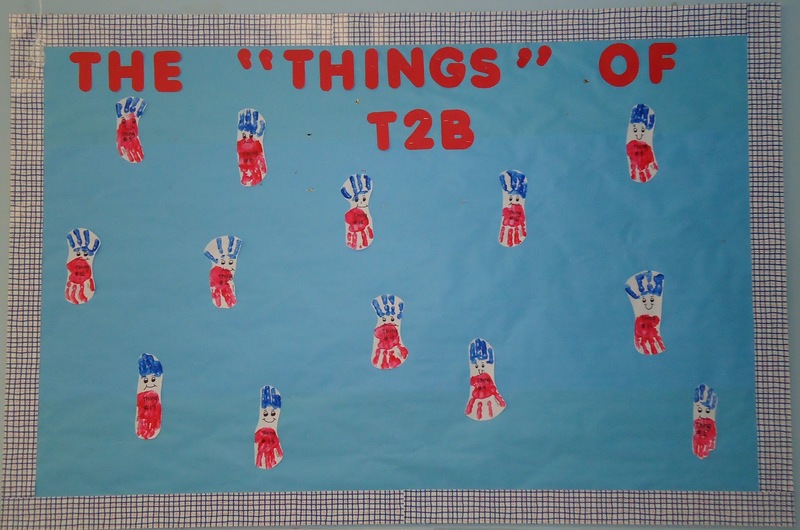 The same teachers made the board below, too. 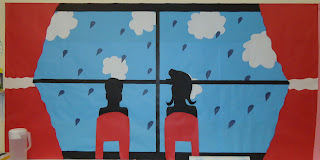 In another classroom, both the bulletin board and the back of a shelf have been decorated. 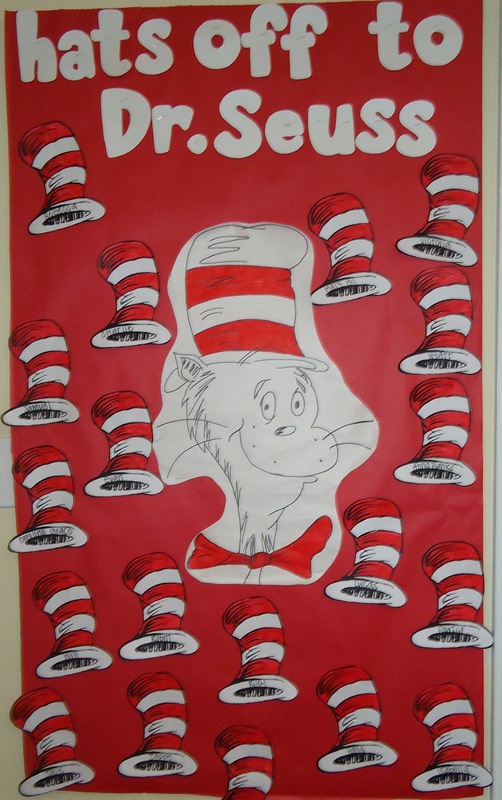 We've incorporated a few Seuss elements into our circle time board. 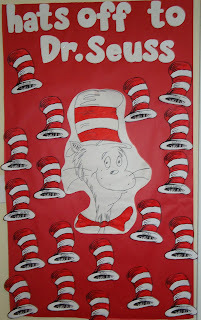 We are recording all of the Dr. Seuss books we're reading onto the stripes of the giant striped hat. 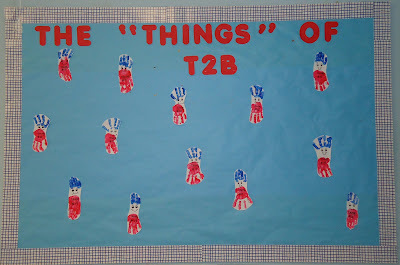 The teachers in this toddler class have cleverly turned students' handprints into "Things" from "The Cat In The Hat". I hope you find these as inspiring as I have! Thanks for visiting! Leave a little "comment love"~I'd love for you to share your thoughts!